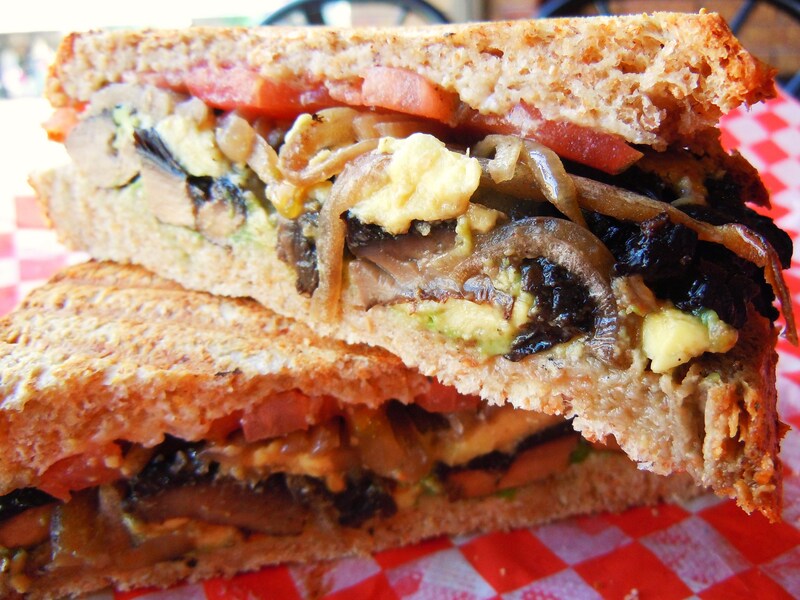 Vegetarian Sandwich Series – Wishful Thinking of Portobellos and Honey-Nut Bread at Sky Blue Sky Sandwiches! It’s about time I made it to Sky Blue Sky Sandwiches! I’ve been meaning to do a post on them for the Vegetarian Sandwich Series for months now (months is actually an understatement – I’d say it’s been a good year!) 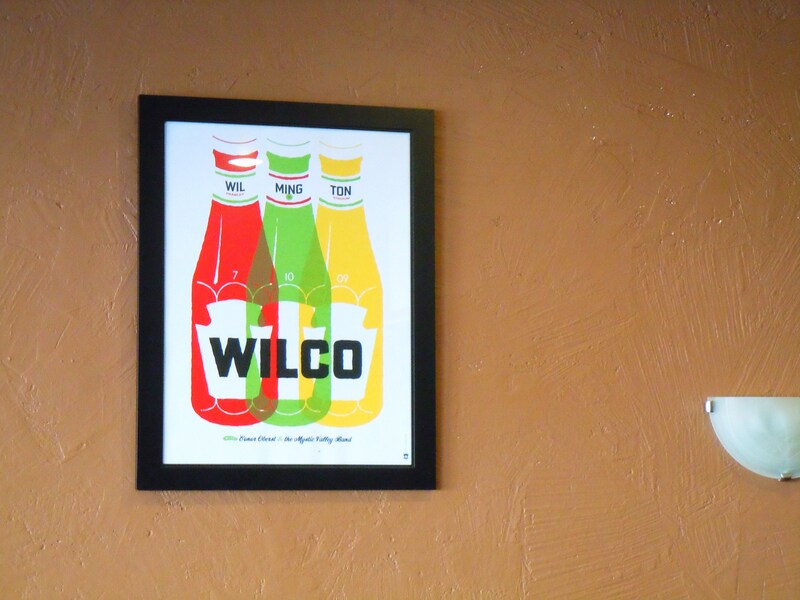 and I’m thrilled that I got the chance to sink my teeth into one of their delicious veggie sandwiches. The Vegetarian Sandwich Series was the very first special series I thought of and started on Ate by Ate back in June of 2011 and it was entirely inspired by my vegetarian friend, Wini, who wanted to know where the best vegetarian sandwiches in the city were hiding. Since I started the series, I’ve been on the hunt for the yummiest sandwiches, the joints with the best selection, and the hidden gems and surprises and I’ve found some amazing eats! Even though I’ve barely knicked the surface (if I posted everything on my “behind the scenes” ongoing list all at once, there wouldn’t be anything to post 3 years from now! 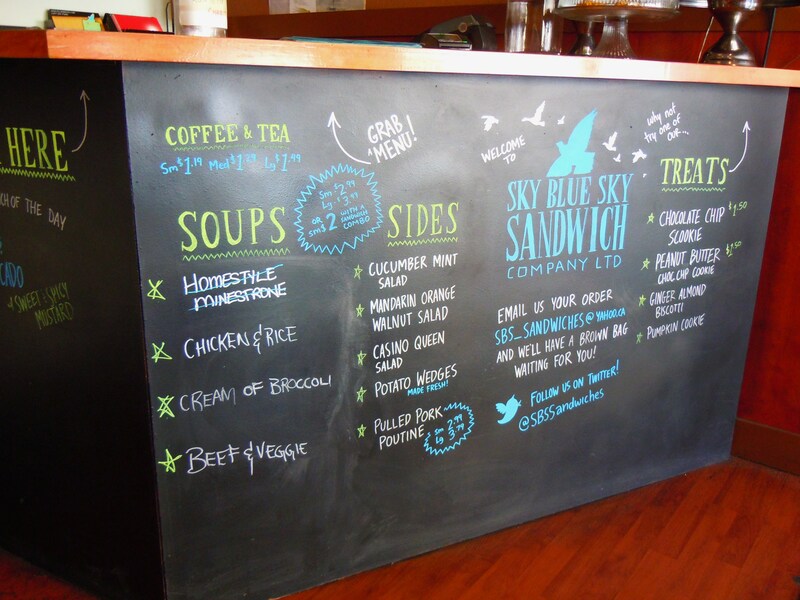 ), I’m glad that Sky Blue Sky Sandwiches has finally made its way to the blog because it’s been on my hit list for so long. A vegetarian sandwich series just without be complete without the sandwich cafe in town with half a menu of veggie sandwiches! 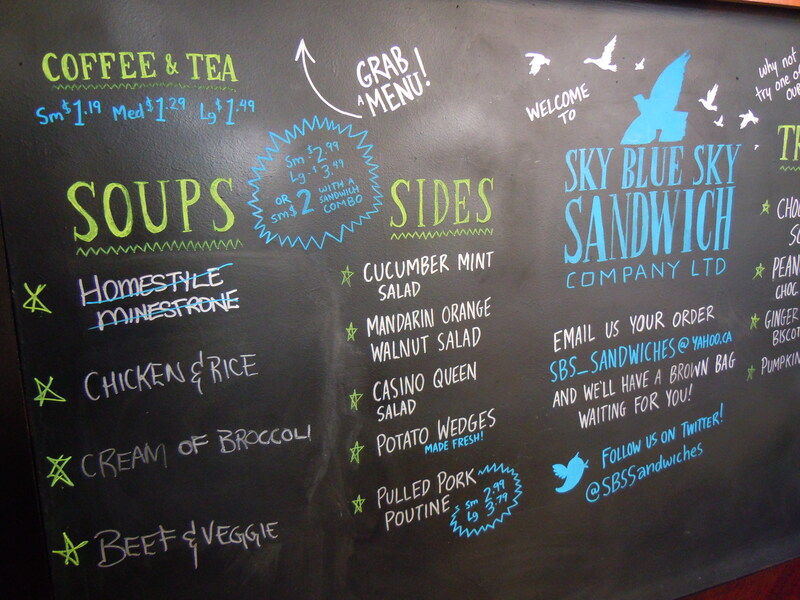 Located on Bloor Street West bordering the Annex, Mirvish Village, and Koreatown, Sky Blue Sky Sandwiches is the all mighty soup and sandwich cafe with over 20 sandwich choices on their sandwich menu! 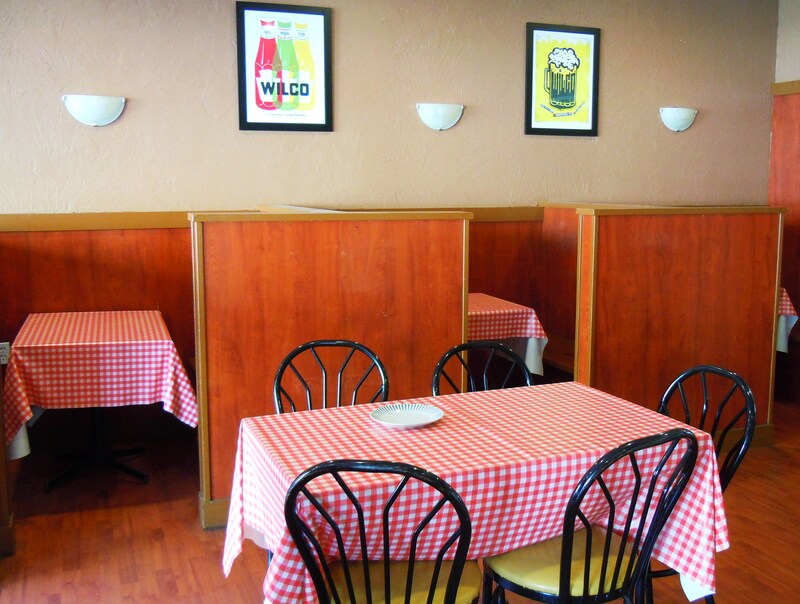 With picnic, diner friendly red and white checkered tablecloths and cute sandwich names to boot, this is the perfect place for sandwich fanatics (think Joey from FRIENDS), deli lovers, casual diners, diners on a budget ($4-$5 sandwiches! 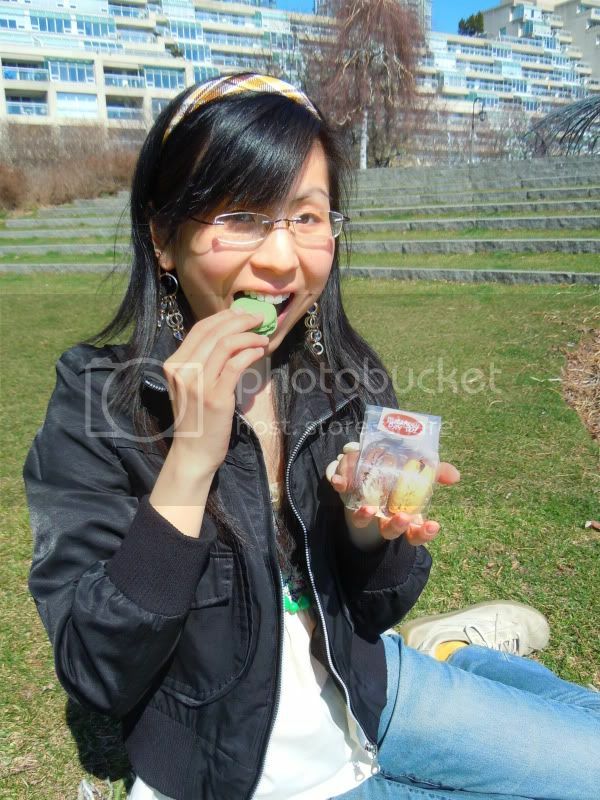 ), carnivores, and herbivores alike. Their menu has so much variety and selection that when you read through it, you’ll be thinking, “oh my goodness, which sandwich do I love and want more?” as opposed to, “hmm, so, what are my choices?” Knowing I wanted a veggie sandwich clearly wasn’t good enough when I had 10 choices to mull over! In terms of meat sandwiches, choices include oven roasted turkey (the One Wing sandwich sounds like a Thanksgiving sandwich constructed from heaven), slow roasted pulled pork, roast beef, smoked chicken, black forest ham, bacon, capicola (an Italian cold cut), and tuna. Vegetarians can rejoice because their vegetarian choices are even more varied than their meat ones! Chad of Sky Blue Sky Sandwiches tells me that the ho-hum lettuce, tomato, and sprout combination just doesn’t cut it when it comes to providing a menu that captures the essence of how creative vegetarian sandwich creation and eating can be. Part of the fun of vegetarian sandwich creation is mixing and matching vegetables, fruits, and non-meat proteins with delicious breads. Sky Blue Sky definitely has one of the larger vegetarian sandwich menu selections in town and choices include portobello mushrooms, avocado, almond butter and banana, mozzarella, tomato, and basil, cashew butter, roasted chick peas with curry and mango chutney, pear and Gouda grilled cheese, basil pesto, roasted red peppers, and SO MUCH MORE.